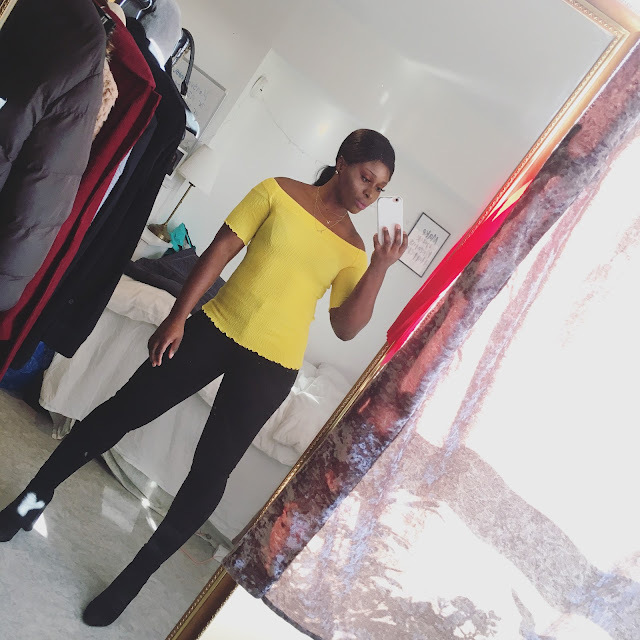 CHIOMA BANKS: BOLDNESS MATTERS IN FASHION! Hello MY Lovely Blog Viewers! Hope you all are doing great?! In my last blog-post,I mentioned that I was going to travel,which I did. I'm still here in Malmö City for the next 1 month & few days..Lol (I'm counting down to My going home to Gothenburg City, Sweden)....Hahaha!!! This past sunday I wore a simple Black & White Above-Knee Pencil Dress to Church. I didn't put on accessories with the dress but still I rocked the dress with boldness. And guess what people were asking Me where I bought it & they love how I combinated My shoe with the dress. Then, I told one of them,I got the dress has present from my dad which he bought at H&M, and she was surprised that he knew my taste in fashion & my size. Huge Sale with their Poise & Boldness on the Runway while catworking. Please learn from this to improve your mood when you dress. Put some Swag/Ego,Elegance & High-Class look with Boldness on your face/body language & you don't neccessary need Top Designer's wears to have this,start with what you have! Outfit:- H&M 399sek (Swedish Krowns) "currency". Shoe:- Black 5inch pumps with thorns on the Heel By "Bik-Bok" 499sek (Swedish Krowns).